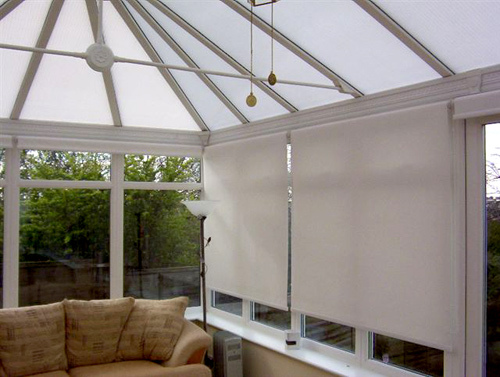 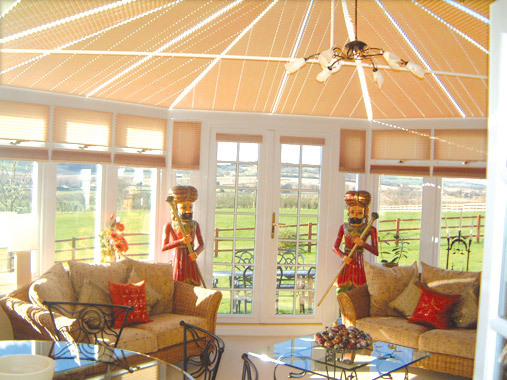 Conservatory blinds at Blindfolded are our speciality, we offer pleated blinds to both the roof and side windows for almost any shape or style whether your conservatory is a lean to, Edwardian, Victorian or P shaped. 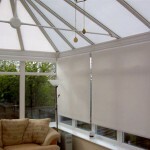 We have a large range of fabrics to choose from including blackout energy saving fabrics for your roof blinds. 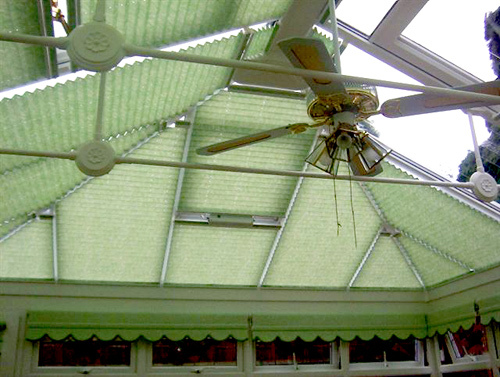 We will always recommend blackout energy saving fabrics to your roof for 3 main reasons. 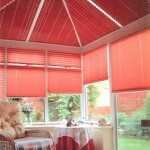 Will reduce more heat and glare. 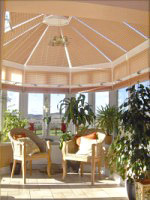 Will insulate better in winter. 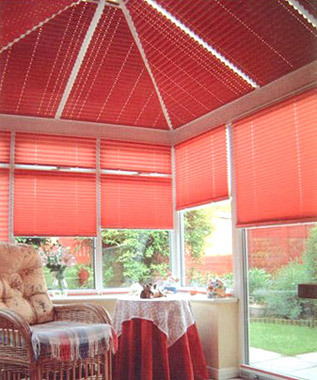 Will hide the flies and insects that are likely to get caught up in the back of your pleated blind as opposed to using translucent fabrics. 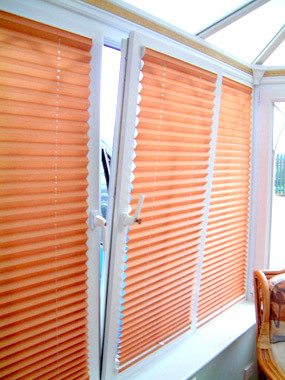 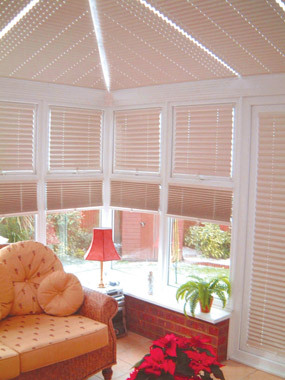 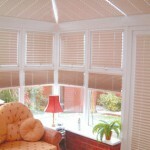 Pleated blinds will operate on a series of wires to stop the blind from sagging and will be drawn using a pole or wand. 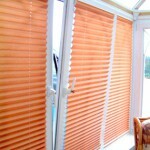 The pleated blinds can be stopped at any position. 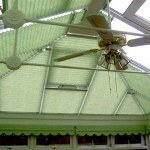 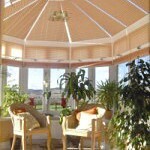 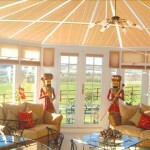 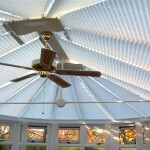 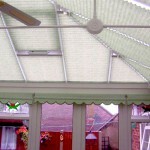 All our Pleated roof blinds come with a 3 year guarantee. 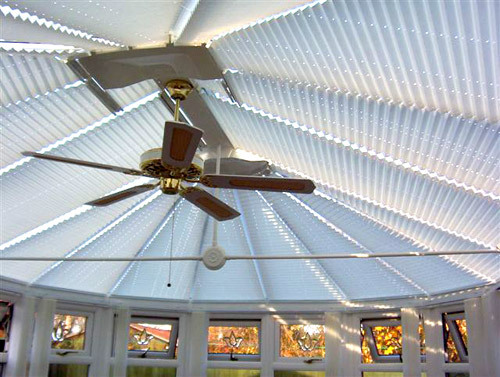 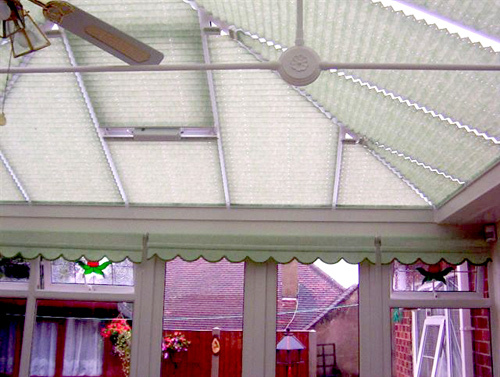 Our shaped pleated roof blinds will come with a pleat-equalising system, this is designed to keep the pleats level when the blind is drawn and also to help give a much better coverage.